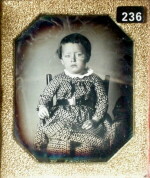 ﻿Daguerreotype of O.H.Stevens, age 5 1/2 yrs. 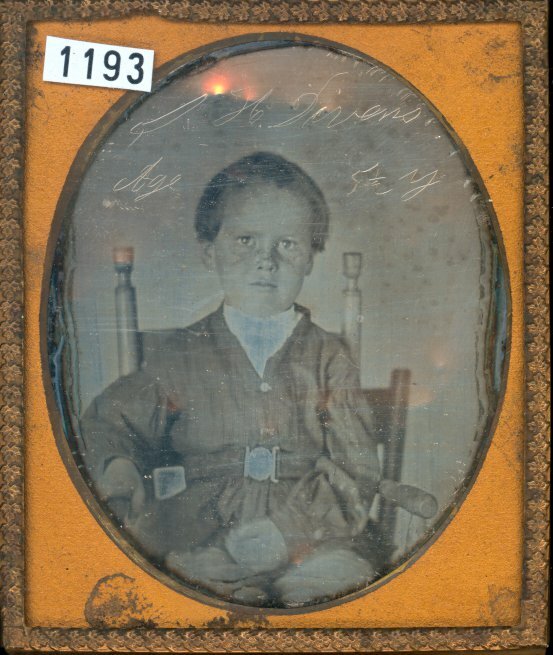 Daguerreotype of O.H.Stevens, age 5 1/2 yrs. 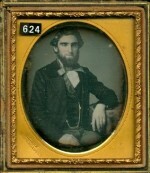 Description: Extremely unusual to find a daguerreotype with the name and age of the sitter engraved on the front of the plate above the subject. 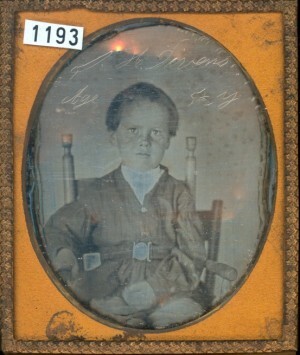 Nice freckle face kid too. 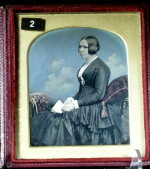 Full case, seperated at the hinge. 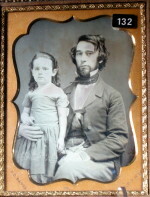 resealed.